If GIMP isn't on your system already, you can download the installation files. Experienced users can even build GIMP from source code. New features in GIMP 2.9 and upcoming versions. Get familiar with GIMP's toolbox, dock, and main window. You can modify many important aspects of GIMP configuration using special settings. 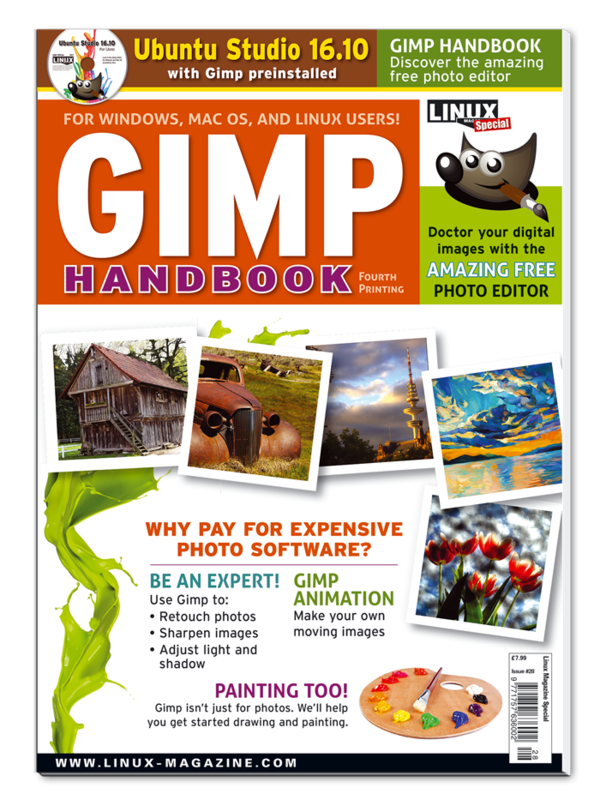 Learn how to use basic GIMP functions. Structuring images with the help of layers. Selections make working on individual pieces of an image possible. Functions and techniques for working with colors. Create flexible and scalable structures with paths. Jazz up images with text and create your own logos. GIMP provides good ways to solve autofocus problems. GIMP offers a range of possibilities for correcting exposure problems. Using GIMP, you can iron out wrong exposures and edit image details quickly. Creating 3D effects with maps in GIMP. Using G'MIC to add even more functions to GIMP. UFRaw: A RAW converter with many extras. Create paintings using GIMP tools. Luminance HDR offers high dynamic range imaging.